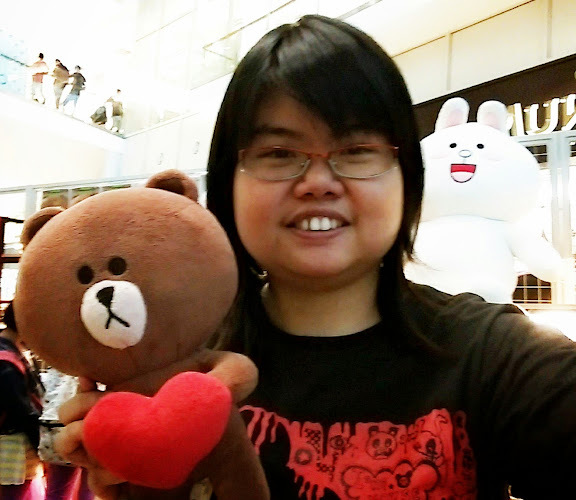 First time, my family and I went to Paradigm Mall and celebrate the Father's Day! 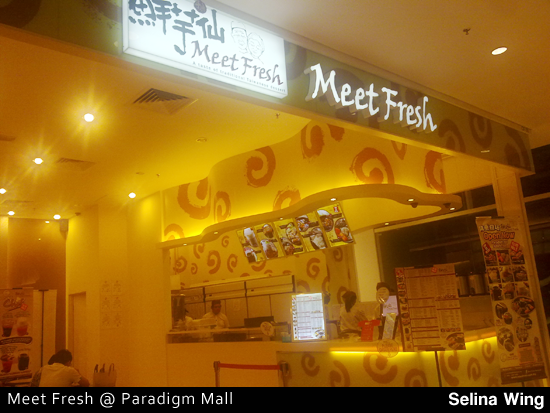 My dad visited around the shopping mall, suddnelly, he found the "Meet Fresh" so, he wants to try it out! It more like Snowflakes, but their concept are different. Their special menu are Taro Ball Dessert, Tofu Pudding, Almond Series, Retrospective Tea, Q Mochi Dessert, Hot Dessert, Signature Herbal Jelly, Cream Shake and Cold Dessert only. 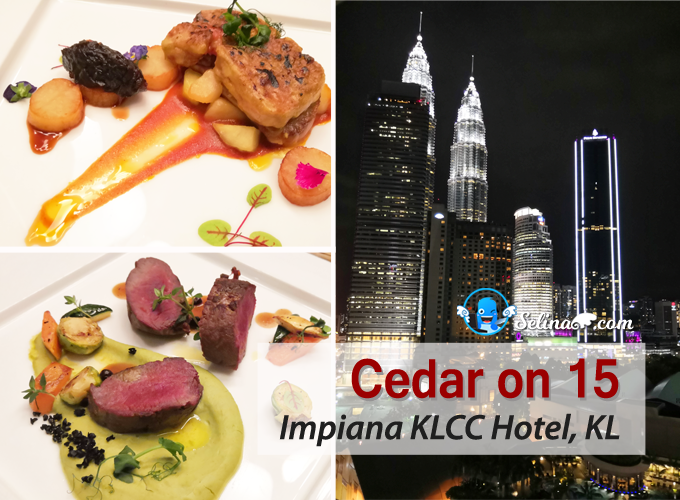 Originating from two masters, Mr and Mrs Fu who believed in making food with their own hands to preserve the original taste without the use of preservatives. 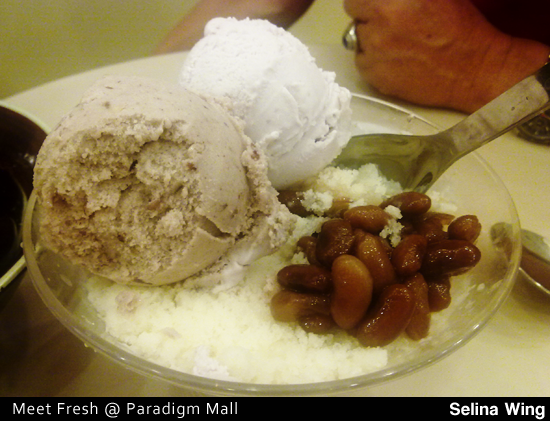 They make their desserts as their handmade with the freshest and natural ingredients with no added preservatives. Why "Meet Fresh"? 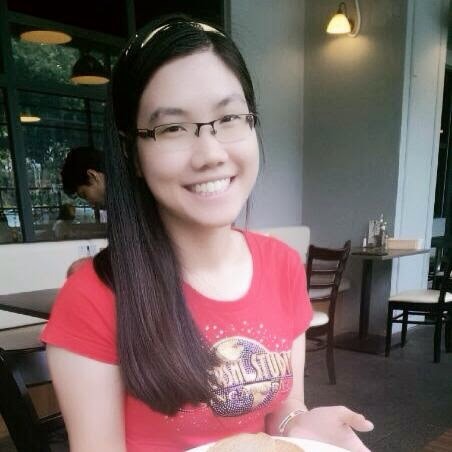 They want you all meet the "fresh" and healthy dessert which they provided as natural ingredients with love & care! 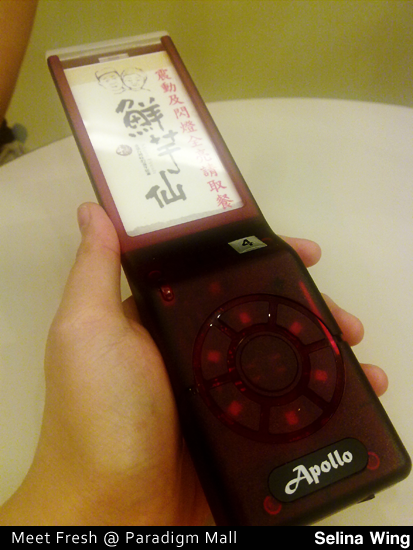 The ordering concept alike Snowflake but, the shape of ordering is different, it more like a handphone! Funny. 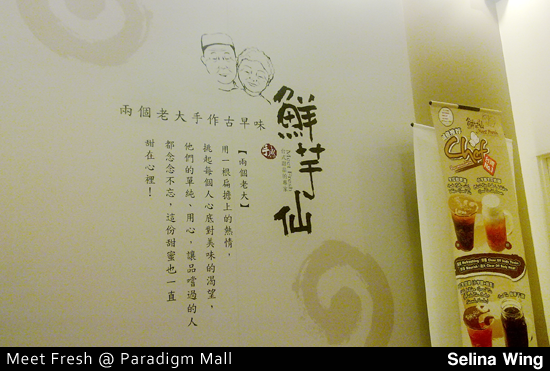 we decided to buy Double Joy Soybean, RM 8.90 and Meet Fresh @ Signature Herbal Jelly, RM 8.90. So the total is RM 15.80 only. 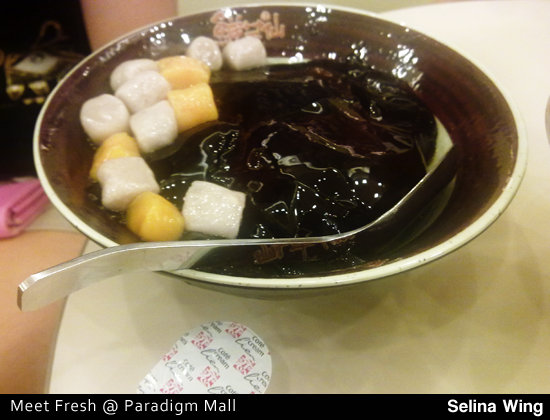 Meet Fresh @ Signature Herbal Jelly, their taro balls and the sweet potato balls are very soft and natural. You can pour the coconut milk too. If you are first-time, they will give you free one loyalty card, so you can get more stamps if you come again!